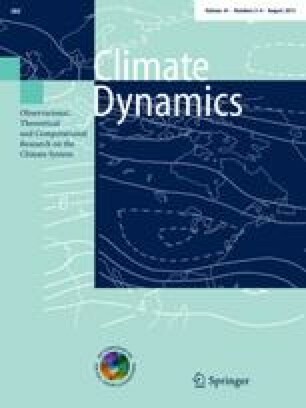 A hindcast experiment of the Mediterranean present-day climate is performed using a fully-coupled Atmosphere–Ocean Regional Climate Model (AORCM) for the Mediterranean basin. The new model, called LMDz-NEMO-Med, is composed of LMDz4-regional as atmospheric component and of NEMOMED8 as oceanic component. This AORCM equilibrates freely, without any flux adjustment, neither in fresh water nor in heat. At its atmospheric lateral boundary conditions, it is driven by ERA-40 data from 1958 to 2001, after a spin-up of 40 years in coupled configuration. The model performance is assessed and compared with available observational datasets. The model skill in reproducing mean state and inter-annual variability of main atmospheric and oceanic surface fields is in line with that of state-of-the-art AORCMs. Considering the ocean behaviour, the inter-annual variations of the basin-scale heat content are in very good agreement with the observations. The model results concerning salt content could not be adequately validated. High inter-annual variability of deep convection in the Gulf of Lion is simulated, with 53 % of convective winters, representative of the present climate state. The role of different factors influencing the deep convection and its inter-annual variability is examined, including dynamic and hydrostatic ocean preconditioning and atmospheric surface forcing. A conceptual framework is outlined and validated in linking the occurrence of deep convection to the efficiency of the integrated surface buoyancy fluxes along the winter season to mix the initially stratified averaged water column down to the convective threshold depth. This simple framework (based only on 2 independent variables) is able to explain 60 % (resp. 69 %) of inter-annual variability of the deep water formation rate (resp. maximum mixed layer depth) for the West Mediterranean Deep Water (WMDW) formation process. We would like to thank M. Rixen for providing us the interannual 3D salinity and temperature datasets of the Mediterranean Sea. We thank M. Crépon and M.-N. Houssais for constructive discussions. This work has been funded by the European Project CIRCE: Integrated Project Climate Change and Impact Research: the Mediterranean Environment. It is also a contribution to the HyMeX program.